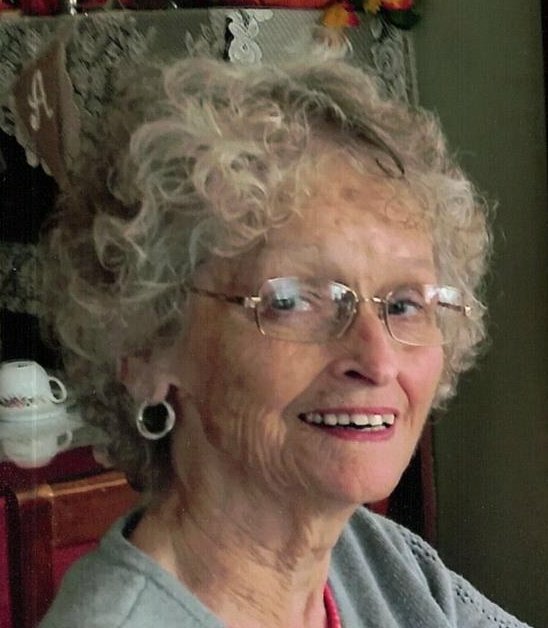 Obituary for Alice Ann (Westerlund) Mollohan | Campfield Hickman Collier Funeral Home, Inc.
Alice Ann (Westerlund) Mollohan, 81, was embraced by her Lord and Savior on Friday, April 5, 2019. Alice was born July 14, 1937 in Jacobson, MN to the late Walter and Sophie Westerlund. She grew up in Seattle, Washington, where she met her husband, Ross Mollohan, a private in the U.S. Army stationed at Fort Lewis. Ross and Alice wed on June 4, 1955 in Seattle moving to Ohio where they settled in Doylestown raising four boys. Alice enjoyed fishing and visiting her friends in Amish Country and fellowship at her church.Left to cherish her memory are her husband of 63 years, Ross; sons, Ross (Becky), Russell (Kim), Brian (Lynn) and Jeffrey (Kim) grandchildren, Erika (Mark) Earnest, Elizabeth (Tony) Dolence, Sarah (Chris) Voloschuk, Travis Mollohan and Brian Allen (Selina) Mollohan; four great-grandchildren and sister, Louise Webber.Alice’s funeral service will be held Wednesday, April 10th at 12 Noon at the Campfield-Hickman-Collier Funeral Home, 566 W. Park Ave., Barberton with Harold Vance officiating. Burial at Ohio Western Reserve National Cemetery.The family will receive friends from 10 a.m. until time of service.In lieu of flowers, please make a contribution to the American Heart Association or your favorite charity.